We know that ‘good bacteria’ is important for maintaining a healthy digestive system, but there can be wider benefits too. As well as helping allergies, eczema, and the immune system, clinical trials have now suggested links between a child’s microbiome and toddler behavior as well as autism spectrum disorders. Microbiome is a community (biome) of microorganisms that, in this instance, exist in the gut and are crucial to digestion and general well-being. Digestive health is important for every member of the family, so it’s well worth making some changes to look after your guts’ microbiomes ­– not all of them are diet related! It’s good to know that letting your child play around in the mud and having contact with animals is actually healthy. And, even better? Too much cleaning can be bad! Yep, those antibacterial wipes and disinfectants kill the good bacteria needed to promote a healthy immune system and gut. Simple steps like eating fermented foods along with basic diet improvements can really help gut flora, so it’s an easy win for everyone’s health. Probiotic Yogurt: ‘Live’, ‘cultured’ yogurt is a great source of probiotics, but all yogurts aren’t created equally – look out for organic and grass-fed varieties to maximize the health benefit. Kefir, coconut or dairy: Though very similar to yogurt, kefir is made with yeast and packed with even more probiotics. As it’s more tart than yogurt, it might need sweetening with fresh fruit for younger children. The name means ‘good feeling’, so it should be worth it too! Natto: This traditional Japanese dish of fermented soybeans is an acquired taste but super healthy and packed with protein, fiber, vitamins and the probiotic bacillus subtilis, which is also present in soil. Kombucha: Made with a SCOBY or symbiotic colony of bacteria and yeast, this fermented tea is lauded for its health benefits – especially digestive health and liver detoxification among many others. However, it’s not recommended during pregnancy, breastfeeding or for those with a suppressed immune system as it is hard to keep germ-free. Even before giving birth, pregnant mothers can do groundwork by improving their own diet with natural probiotics and perhaps taking a probiotic supplement. Breastfeed if you can, it is good for your baby’s gut flora. This is especially important for those infants born by caesarean section as their gut flora is different, so talk to your doctor about taking a high dose probiotic while breastfeeding, or if you are using formula look for one with prebiotics and probiotics. Serve loads of vegetables as they are a good source of prebiotic fiber that helps good bacteria thrive. 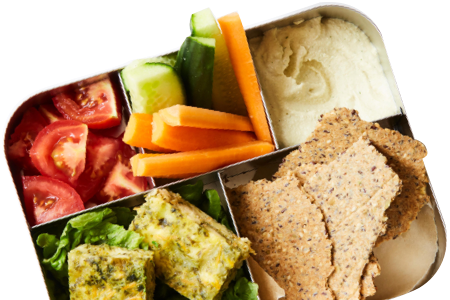 Aim for your children to have veggie snacks as well as including vegetables in meals. 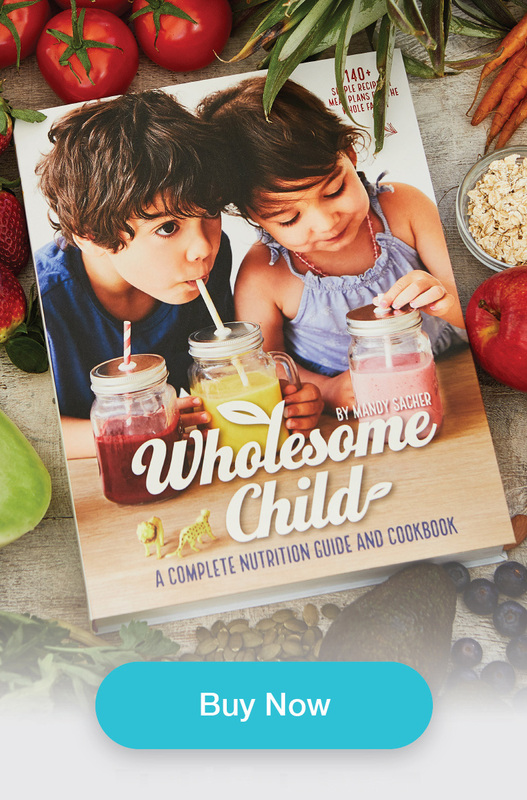 You’ll find practical tips for encouraging your children to eat more vegetables in my book. Ditch the disinfectant and embrace the mud pies. Children need to be exposed to good bacteria so mud, dogs and plain soap (NOT antibacterial) with water are all good. Avoid unnecessary antibiotics. Talk to your GP about the importance of protecting your child’s gut flora and ensure they only prescribe antibiotics when necessary. If your child, or any member of your family, is put on a course of antibiotics they should follow up with a high strength multi-strain probiotic for a month afterwards. Look for multi-strain brands, that contain Bifidobacterium and lactobacillus for kids. Keep junk food and unhealthy sweets to a minimum as they are the opposite of prebiotics and help create a hostile environment for good bacteria. This will have a negative impact on the microbiome, your child’s digestion and wider health. Setting out to support your family’s health through maintaining the health of their microbiome is a really achievable goal. Start by saving money in the supermarket and leaving antibacterial wipes on the shelf, then take a look at your family’s diet. Even small changes can make a big difference.